BLOWOUT SALE! For healthier, more productive soils… naturally! 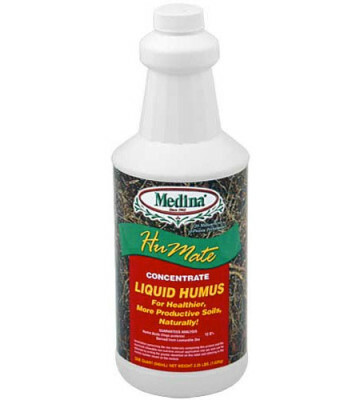 Medina Humate is a liquid humus for gardening enthusiasts that want to build the quality and structure of their soil without using harmful chemicals. Very concentrated. 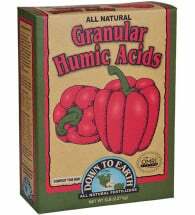 Vegetables & Flowers: Mix 3 Tbsp Humate per gallon water. Pour around plants and water into soil. 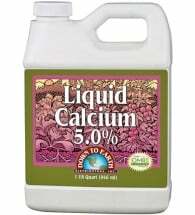 Repeat every 3-4 weeks during growing season. Indoor Plants: Use 1 Tbsp per 32 oz of water. Apply to soil every watering. Lawns: Use 16 oz per 1,000 square feet. Apply with water to soak into soil. Trees: When planting, mix 2 Tbsp per gallon of water. Place root ball in hole and pour on solution. Replace soil, apply solution again and water thoroughly. 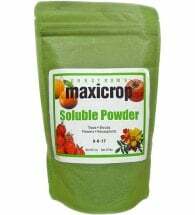 Use 2 Tbsp per 1 inch diameter of tree, mix with water, thoroughly soak root area. Seeds: Soak in 1 tsp per gallon of water or until seed skin is penetrated, plant immediately.